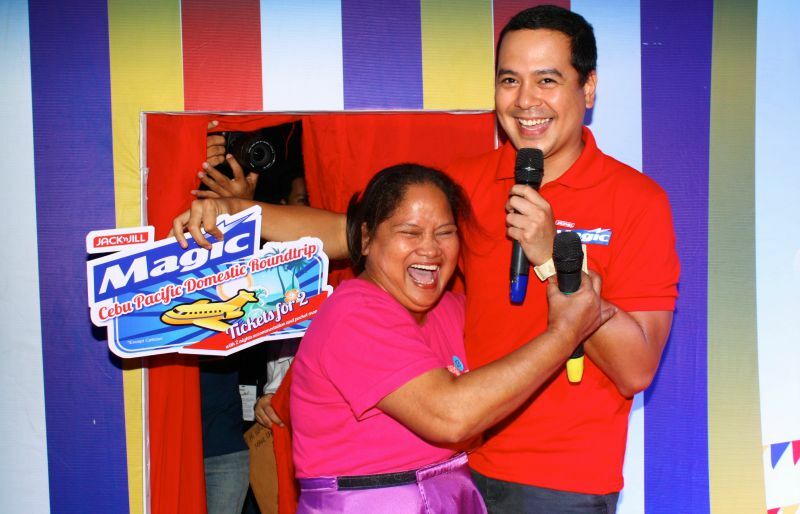 Sari-sari store owner Imelda Juric could not contain her excitement when she came face-to-face with heartthrob and Magic Crackers endorser John Lloyd Cruz. Juric was proclaimed the winner of the Magic Crackers Acting Booth challenge during the Puregold Tindahan ni Aling Puring Grand Convention. The 49-year-old, along with nine other finalists, acted out a scheme from the Magic Crackers TVC, but it was Juric’s winning performance that earned her Cebu Pacific round-trip tickets for two. swerte naman ni Nanay, nayakap nya si John Lloyd!